We already touched on this issue and how to deal with it in this article, but even with that, one of the common questions about fax machines we hear is this one, so here’s more on the subject. Fax machines simply do not work (and even if you somehow manage to get them working, they do not work reliably) with VoIP lines. There is no method to consistently or even reliably get these connections to work, and it is always recommended to get a regular land line for a fax line, or look into one of the alternatives for sending fax messages. 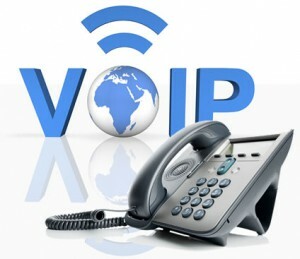 How come VoIP Phone lines won’t work with my fax machine? The technological barrier is the problem behind this one. For all of it’s benefits, faxing has a fundamental difference to how internet and VoIP lines work – it’s an analogue method of transferring data from place A to place B using telephone line as a medium of transfer. The screeching sounds and beeps you have heard if you ever dialed a fax line by mistake carry loads of information between fax machines, and that method of transferring data is not compatible with pure IP data lines like VoIP lines. The problem are levels of compression – purely digital forms of medium can be compressed and decompressed by far greater extent at the point of origin and delivery, but fax machines simply aren’t able to decode the information that reaches them in any manner that is less than what they expect. Think of it as a difference between lossless music and MP3 music, your ear couldn’t tell much of a difference, but the fax machine is thoroughly confused by the lack of clear data reaching it, and, in the best case, will receive a damaged document, and most of the time will not even be able to make a connection that is carried through compressed data line, the sound that carries the relevant information is just too distorted for the faxing process to carry on as expected. There are some reports of people managing to use fax machines with VoIP lines, but these are extreme cases with extreme equipment being used, and even they can’t claim that the process was reliable or easily replicated. Two of the most basic things you can do to even try to use VoIP line as a fax line and see if that would work are to reduce the transmission rate to the lowest possible setting on your fax machine – this will heavily impact the transmission speed, but the signal will be less distorted and compressed and use very high QoS settings with your provider – this will eat your data plan, but will use least distorting compression standards.